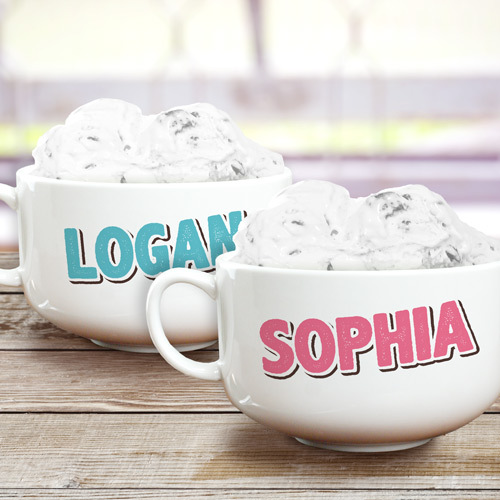 Create the perfect reason to enjoy a delicious bowl of ice cream when you use your own personalized ceramic ice cream bowl. 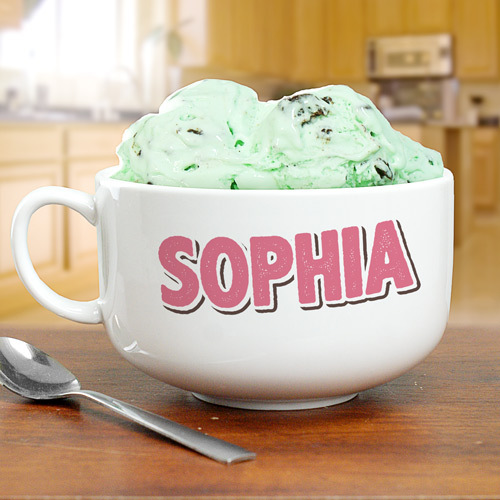 Each ice cream bowl may be personalized with any name in either pink or blue text. 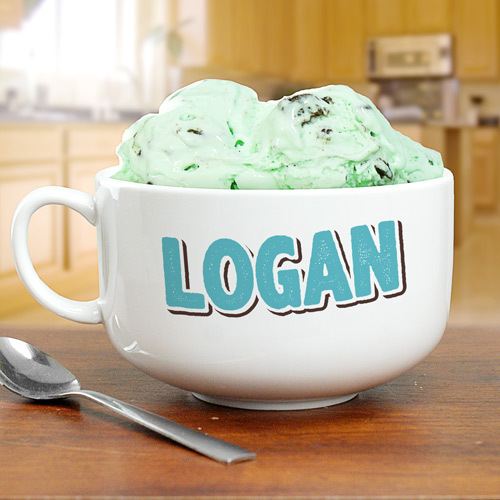 Such an awesome bowl for ice cream. . . . It's nice and big! !